A Brief Philosophical Comment – I’d like to say that my music and writing music is an outlet of self-expression and that of exercising and employing the creative energy. Although I didn’t set out to be exposed in a public display, I somehow got that way without being tied to anyone forcing me to do so or by any “pressure” from a major music industry publishing company. So I guess I can blame myself for this. Also, I have remained free to express myself musically, as I wish, and not for purposes of fulfilling some song quota, forced into being strictly commercial or required to meet specific deadlines, however, that does not preclude that I would not write some of my music for these purposes. With that said, the music that I write will come as it comes. Granted, that may not be commercial as previously said, however, once a song is completed (or an album) you will be given the chance to hear it in it’s original state. Therefore, you are getting the “virgin” music from someone who simply enjoys the act of writing it. You are getting it directly from the Composer – me. Currently, I am published exclusively through StringTunes, an independent music publisher. StringTunes was founded in January of 2007 but was conceived in 2006. It’s original purpose was to provide publishing services for my music, exclusively. There has been a shift in its’ intent to now include music by other artists and composers involved with music in the chamber music genre.This expansion is just getting underway and throughout 2010 there are expected additions that will enhance StringTunes as well as other artists. Further, my music is made available at the StringTunes website for purchase as single song downloads, for $0.99 each, and as CD’s available for $9.99 each. This site also includes; photos, diary, a complete song list of my compositions and my biography as well as a lengthy listing of comments made by my friends, family and fans. To date, all news, notices, and progress on my projects were first shown on the StringTunes website. This site will be replacing the original StringTunes content only site. The StringTunes website is planned for many changes and it is undergoing the building of it right now. During the transition I will be leaving in place the current site “as is” until the new StringTunes site goes live. I will be posting the notice of going live as soon as it is known. In the interim, please feel free to stop in at the current StringTunes site for any notices or announcements while these changes are taking place. If you are so inclined and you have to just do it now, you can still follow this link to purchase direct from my manufacturer (no middleman) – Click here to buy my CD’s. This is an external site to this one. Regardless of whether you wish to purchase 1 or 1,000, my manufacturer will provide the CD’s directly to you. After filling in a few pieces of general information you are taken to a secure zone on the site to complete your purchase. Thanks in advance! For those interested in purchasing my music at other digital retail stores on the Internet, please feel free to visit; Apple iTunes, Amazon(dot)com and the CDBaby website where your can purchase at digital locations you may be more familiar with. Note: CDBaby has hard copies of my CD’s available for purchase too so if that is your interest please visit them. In the near future, you will be able to purchase all of my music right here. Please be patient with my progress on developing this site. Thanks in advance for supporting my music! First, my musical instrument of choice is the classical guitar. I began playing the acoustic guitar as a freshman in high school back in 1970. The songs I played were good old fashioned love songs while in high school. Before that I played the cornet, the flute-o-phone and I tinkered around with the organ and keyboard. I enjoy classical music and as time passed I found myself wanting to play and compose music for classical guitar. In 1996 I basically switched from acoustic to classical guitar and have remained there ever since, however, I still enjoy playing the acoustic guitar. Also, because of classical music, I am prone to write in a somewhat similar manner or style generally considered classical, however, it is not pure classical music. So, it is from that base that I developed musically and have come to compose the way I do. The instruments I compose for – Again, since I favor the guitar and since I truly enjoy the sounds made possible by the other stringed instruments as well, I am now composing primarily for these instruments. My music includes and is not limited to the following stringed instruments; the guitar, violin, viola, cello, contra bass and/or double bass and the harp. Additionally, since learning more about the other orchestral instruments, I add color to my compositions using the oboe, piccolo, flute, clarinet, bassoon, all from the Woodwind Family and occasionally I write for the trumpet, french horn, trombone and the tuba from the brass section of an orchestra. Also, as needed, I sprinkle in an occasional cymbal, timpani, tom-tom or other percussion sounds to fulfill those needs within the composition. Lastly, I do include some additional instruments depending upon the need within a composition, including but not limited to; bells, gongs, marimba, xylophone and glockenspiel, among others. As you can tell by the instruments I am using that my music could simply be classified as classical, however, I do not adhere strictly to the classical music forms of composition. I attempt to use more simplified song forms using the orchestral instruments by choice rather than those typically found in a rock, blues, jazz or other genres of music. With that said, I think I am joining together the use of orchestral instruments including the strings with a more “tune-like” song structure, hence my music publishing website name is StringTunes. Further, I truly enjoy and I prefer to listen to music that originates from live instruments. The acoustic sounds generated by a “real life” instrument rather than a recorded one, one that is amplified or one that is strictly produced using highly modified digital sounds doesn’t quite make it when it comes to the sounds generated from a real instrument, especially if you are in an intimate setting or sitting directly in front on one, such as in the case of chamber music where the room is small and the audience is in close proximity to the performer(s). In my opinion, the artistry of the performer and the uniqueness of the instrument cannot be duplicated through virtual instruments. It can come close, but as they say, no cigar. It is extremely expensive for me to do all of the things I need to do to create and to produce my own music. Financially, the costs for sound samples, in and of themselves, are very expensive, but to pay for live performers for an albums worth of music gets you only one album, not two, three, four, etc. as samples can provide. This is the advantage to a composer; it enables the music writer to make a digital mock-up of the composition for demonstration purposes. It is considerably less expensive doing it this way than by hiring the live performers by comparison. I have to add that I would prefer to have live performers record my music. In that regard, I have my music available for performance licenses through StringTunes. If you are interested in pursuing that avenue of involvement with my music then please let me know and I will forward your intentions to them. Consequently and for now, I use digital professional sound samples to demonstrate my music. So, I guess you could say that my music is classified as digital-acoustic orchestral music, also known as Virtual Orchestral and Virtual Chamber Music. Regardless whether my music is recorded using sound samples or live performers, all of my music is completely original. Sound Samples – Sound samples are small .wav files or audio clips of a real instrument. They are programmed into a song by the use of a midi input device such as a midi keyboard or other devices using the midi digital language or code. The midi signal tells the computer what to do, “go get sample number 1234”, for instance. These sound samples are then routed back through various types of digital sound modification software programs to produce the sound you hear when listening to the songs produced when using them. In some regards, the current quality of sound samples and the skills of the music producers and engineers can produce music in this manner to such a degree that the average person cannot tell if the instruments are real or if sound samples were used. I suppose in that way and through that perspective the quality has met some of the characteristics of live instruments. I’ll concede that, however, to the trained ear and to artists in general, it is easy to tell if samples were used or if all of the music was recorded using live instruments. The same is even more true when you think about the special and highly developed performance skills and unique, highly developed artistry brought to the table by Professional Performers. As a result of the limitations of using Sound Samples the final mock-up may sound really good but it is not a direct reflection of recording live performances. One cannot possibly duplicate every single performance or every single instrument, its’ nuances, articulations and the unique sound of specific instruments. What sound samples can do is to provide a decent mock-up of what a Composer intends to convey when composing a piece of music. 1) I started Composing way back in 1970. Since then I have completed many musical works, all of which are officially copyrighted. 2) When I first started to compose, I wrote primarily for the solo guitar, however, I was just a novice player and I had a very limited understanding of music in general, musical form and structure as well as having poor arranging skills. This focus initially changed in 1990 and seriously changed in 2005. 3) In 1997 I completed a CD demo of several of my guitar compositions. It is titled – Night Wind. This CD was never officially released but I did manage to sell a couple of CD’s, mostly I gave them away to family and friends. See the Night Wind article for more information. 4) In December of 2006 I completed my first official CD, produced with the intention of selling it over the Internet. It is titled – Heart Strings. See; Heart Strings article for more in depth look at this CD. 5) Also in June of 2006, I started my website, StringTunes, as a placed to post my music and to get the word out about my music. 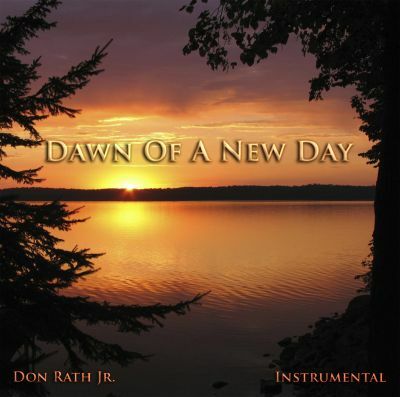 6) On March 21st of 2007, I completed and released my second official CD titled – Dawn of a New Day. See the Dawn of a New Day article to learn more about this CD. 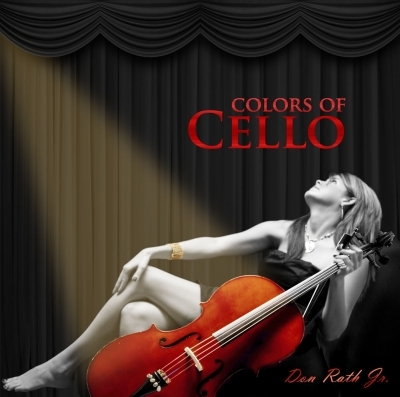 7) On March 21st of 2008, I completed and released my third CD titled – Colors of Cello. See the Colors of Cello article to preview this CD. Currently, I am working on three more CD’s. Right now, none of them are titled, however, one is a solo guitar CD, another is an additional strings based CD and the last one is a Christmas CD featuring traditional Christmas music arranged for the stringed instruments. Watch for additional blog posts and updates regarding these efforts. Once again, thanks for stopping by to learn about my music and please feel free to stop in to this site in the coming days and weeks as it becomes more populated, informative and interesting. 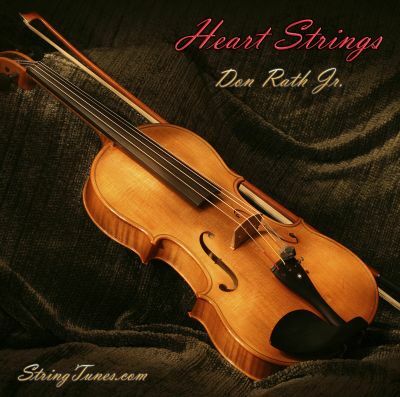 For more information about Don Rath Jr – Composer, please see these related articles.